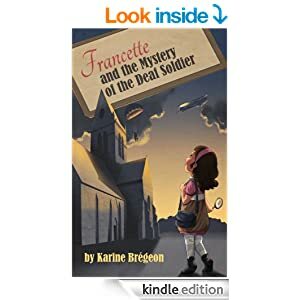 Francette and the Mystery of the Deaf Soldier – a worthy 5 Stars for this fun read! OnlineBookClub.org summed it up well when it recommended this as “a book you and your children are sure to love”. Whilst not my usual genre (I’m a big kid after all and this is billed as a read for 7 to 10-year-olds) I quicky found it’s a fun read not only for children but for parents, too – as I discovered before I was even through the first chapter. 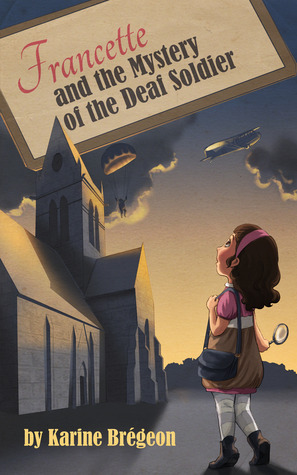 The way the author cleverly uses engaging young Parisian Francette to investigate a mystery around Normandy’s D-Day landings hooked this reader and my young audience from the outset. Throw in a ghost and a haunting or two, and you have a story guaranteed to please! The novel they branded as “socially dangerous” and “revolutionary” really is a must-read!